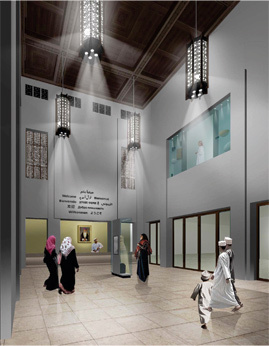 Arts Architecture are the Design Architects for this prestigeous new museum, planned in conjunction with museum designers Jasper Jacob Associates. 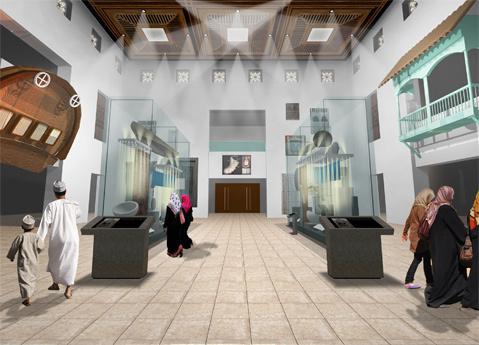 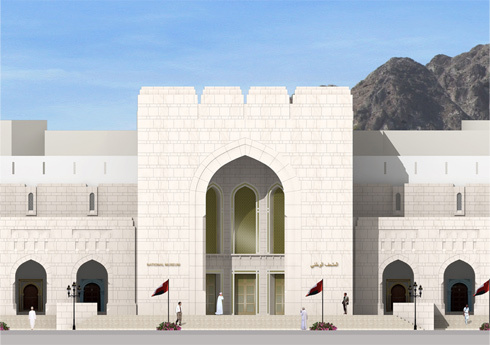 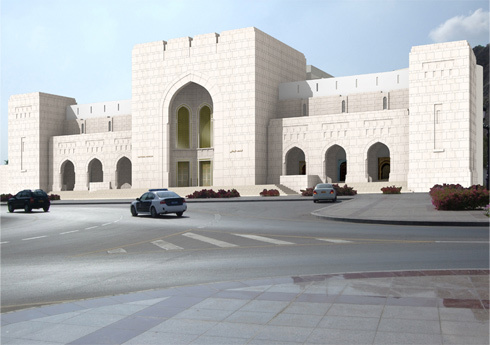 Situated on a prestige site in the centre of Old Muscat, this National Museum sets out to showcase the cultural heritage of Oman from prehistoric times to the present day. 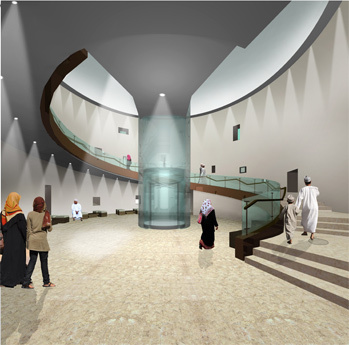 The main entrance addresses a new public square and leads on to ‘The Land and The People’ - a central, air-conditioned triple-height space celebrating the different regions of the country, and around which the other galleries are arrayed. 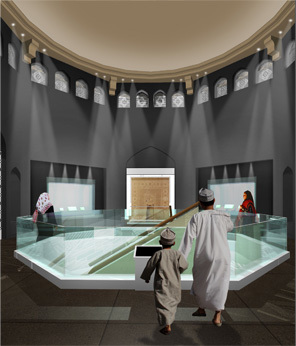 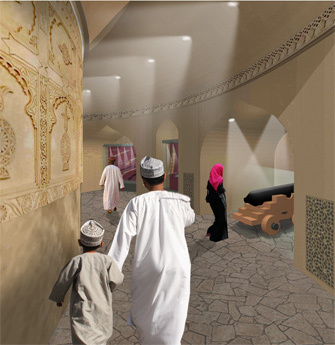 The Ground Floor galleries include ‘Maritime Heritage’, ‘Arms and Armour’, ‘Civilization in the Making’, ‘Aflaj’ (Irrigation systems) and ‘Currency’. 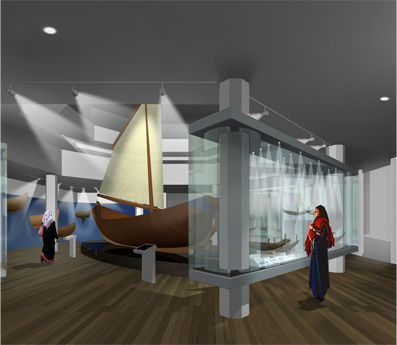 Other facilities include an introductory AV theatre, a temporary exhibition space, shop, corporate entertaining suite, and an education centre including facilities for school parties, seminar rooms and an 80-seat lecture theatre, as well as prayer rooms, conservation, administrative and collections management facilities. 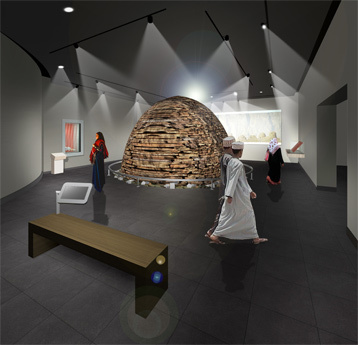 A wing containing a café will overlook a courtyard garden with outdoor exhibits including ancient rock art.